After a four year exile from the euro bond market, Greece is back. Investors bought 3 billion euro ($4.16 billion) in 5-year bonds, offering a glimmer of hope as the euro zone economy continues to crawl out of its debt crisis. "Greece is leaving the bailout and the crisis behind," Deputy Prime Minister Evangelos Venizelos told reporters in Athens. 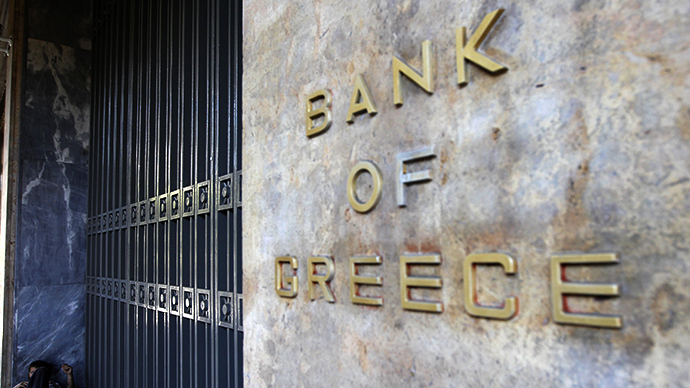 Orders for the April 2019 bonds with a 4.95 percent yield were oversubscribed nearly 8-fold, according to Venizelos. Venizelos deemed the sale “a huge success” for Greece’s economy, which has a 320 billion euro debt, or roughly 175 percent of gross national production. When the credit crisis hit in 2012, Greek bonds wiped out nearly 130 billion euro from investors. Europe’s crisis pushed borrowing costs to record highs, but Greek bonds in 2014 (as of April 9) were the best performer of 15 euro area debt markets, according to Bloomberg’s World Bond Index. Plagued by severe austerity cuts to government spending, the reappearance of investor confidence to the region is important. Ratings agency Moody’s has downgraded the country’s investment grade below junk status to Caa3. Fitch and Standard and Poor's rate Greece at B- level. Greece was the first country in the euro zone to require a bailout from the International Monetary Fund, from which it has received over 248 billion euro in loans. 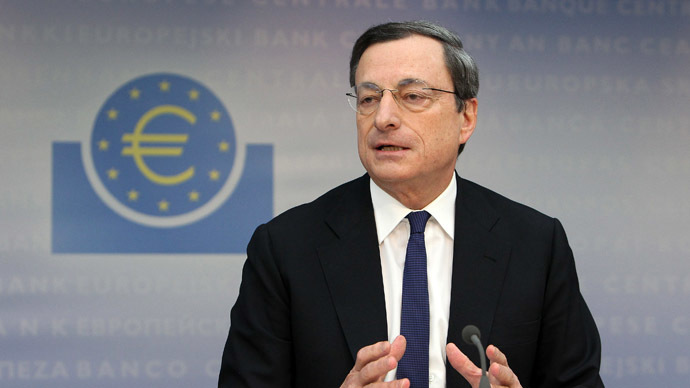 The third, and most recent package, was 8.3 billion euros. 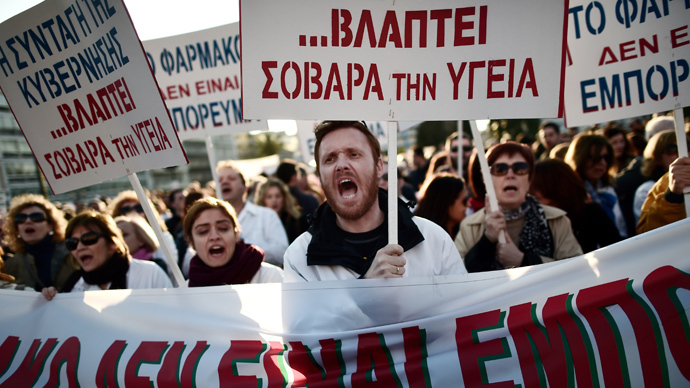 Angela Merkel, the austerity program’s biggest cheerleader, is due to arrive in Athens on Friday. Domestic politics in Germany have been split by the government’s undeterred support for its weak neighbors. 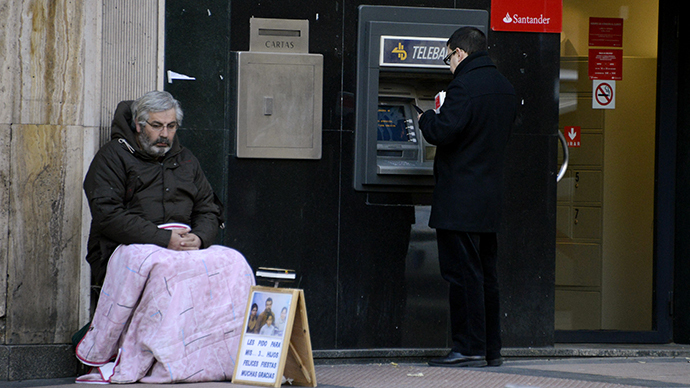 Troika lenders forced tough austerity cuts on the Greek economy which have arguably made the economic situation worse than it was before the crisis. Deflation remains the highest in the 18-member euro zone, dropping 2.9 percent year on year in February, and prices continue to fall as high unemployment at 28 percent remains a huge threat to recovery. 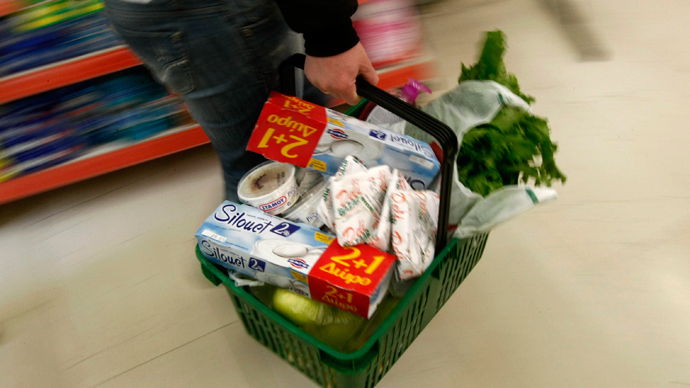 Overall, euro zone inflation is at its lowest levels since November 2009, at 0.5 percent. 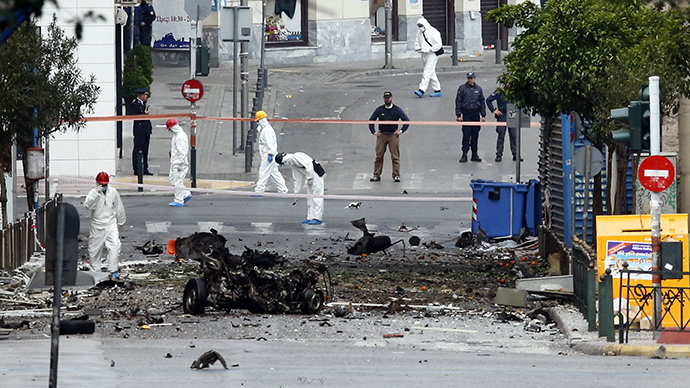 Just hours before the major milestone, a car bomb was detonated in front of the headquarters of the Bank of Greece, the country's central bank.